We are located at 544 Fifth Avenue between Market Street and Island Avenue in San Diego's Gaslamp District. There is ample parking within a block or two, or on the street itself. There is a Trolley Station less than 3 blocks away on Harbor Drive and Fifth Avenue and an ever present taxi and ped-cab service. 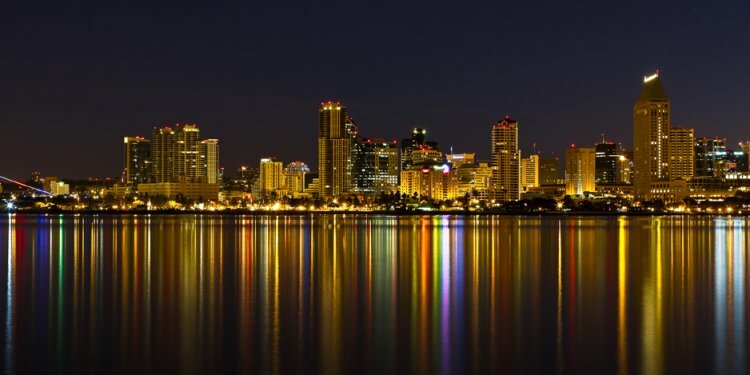 From north of downtown: Take I-5 south to 10th Avenue, or 163 south to downtown San Diego. Follow 10th Avenue to Market Street. Turn right on Market. Go about 6 blocks and turn left onto 4th Avenue, then left on Island Avenue, then left on 5th Avenue. The Field will be on your left, halfway up the block. From south of downtown: Take I-5 north...Take the Crosby St. exit. Go left on Crosby to Harbor Drive. Go right on Harbor (toward downtown). Turn right on 5th Avenue for 3-1/2 blocks. The Field will be on your left, between Island Avenue and Market Street. From east of downtown: Take 94 west. 94 will put you on F Street. Continue along F Street to 10th. Go left on 10th to Market. Turn right on Market. Go about 6 blocks and turn left onto 4th Avenue, then left on Island Avenue, then left on 5th Avenue. The Field will be on your left, halfway up the block.